That's wonderful! Thanks for pointing it out! Frank, how soon we'll see such layer directly in GE? 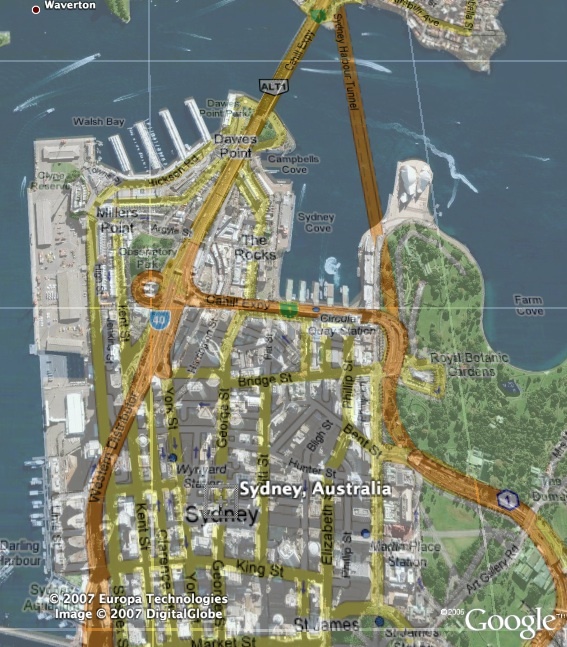 Just noticed that street directions are now available in Google Earth for Sydney Australia. I guess the real road maps can't be far away. Just to let everyone know, Australian maps are now available in Google Earth. Living in Melbourne, I have waited a very long time for this and to see it happen is just fantastic.